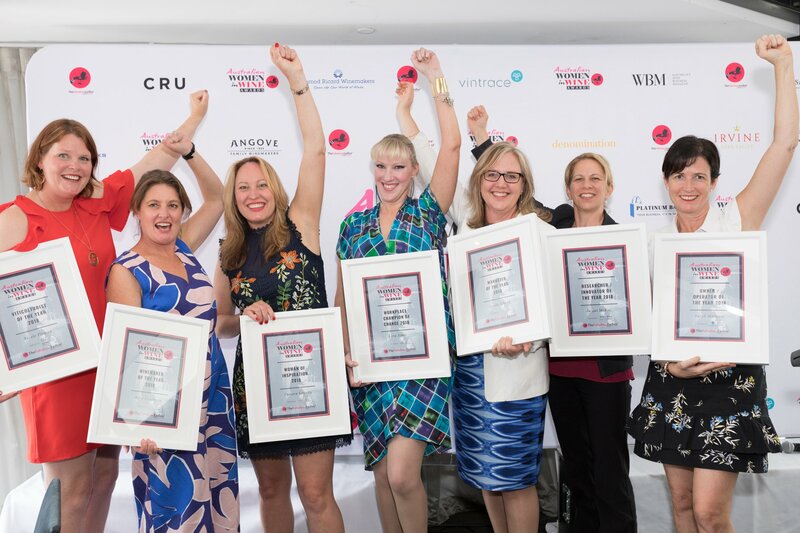 Wine Communicators were out in force and celebrating at last Friday’s 2018 at the Australian Women in Wine Awards. 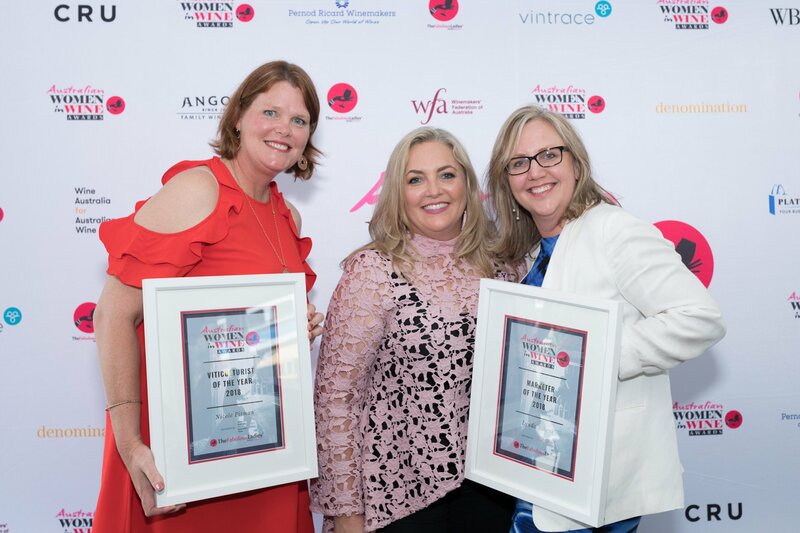 Lynda Schenk, the Executive Officer of WCA, was awarded the Marketer of the Year for her work with Riverland Wine undertaken as a part of her role as the owner/founder of Purple Giraffe Marketing, an Adelaide based marketing consultancy that she began in 2014. Shirley Fraser, WCA South Australian Chapter Chair was also a finalist in the Marketer of the Year category for her work with Byrne Vineyards, a family owned, estate grown and sustainably farmed winery based in the Riverland region. The Marketer of the Year Award is sponsored by Denomination. Jacqui McRae, fellow WCA South Australian Chapter Committee Member and Senior Research Scientist at the AWRI, was also a finalist in the Researcher/Innovator of the Year Award sponsored by Angoves Family Winemakers. These fabulous ladies in wine were joined by WCA Board Members Rob Hirst, Chairman of Fine Wine partners and Justine Henschke of Henschke. The awards, held at Quay Restaurant alongside the very first Women In Wine Symposium, are designed to acknowledge and reward the work of women in the Australian wine community, and other community leaders who champion equality and fairness for all sexes in the workplace.